Thanks for coming to book a session! So this is the point that you stop, you hesitate and work out if coaching is something for you. Below are my packages and there will be one there that will suit you. ‘If you always do what you’ve always done, you’ll always get what you always got’ So it’s time to do something different. And if you’ve had coaching before, its important to remember that not all coaches are the same. 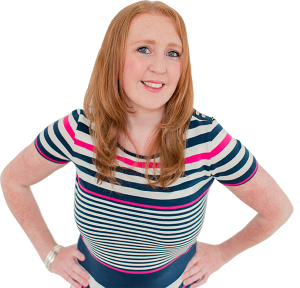 I am a qualified, Life Coach, NLP Practitioner and Time Line Therapist in short this means I have some fantastic tools to help you achieve your goals. I don’t just use NLP to help you though. My approach is personal and I do not and nor will I ever profess to hold all the answers. But I am really good and getting people to be honest with themselves and to learn to question themselves on a much deeper level. Knowing how to do this is THE BIGGEST road to self discovery and growth. I have FAQ section below with any questions you may have, failing that do fill in the contact form on the Contact Me page with any questions you may have. Once you have purchased the session(s) you want I will be in touch within 24 hours to schedule a convenient day and time for our first 1-to-1 session. One-to-One Skype coaching with TraceyAnne. There is no set time limit per session but generally each session is less than 2 hours. Who will be delivering the coaching? Your coaching session will be with me, TraceyAnne. Once you have paid for the number of sessions you require TraceyAnne will be in touch within 24 hours to arrange a suitable day and time. How is the coaching undertaken? Typically coaching is done via Skype but full details can be arranged once the number of sessions have been booked.